I sat down 30 minutes ago to enjoy a final quiet hour of gaming before starting my next class tomorrow, and Microsoft kindly reminded me why I no longer use their other computing products.. yet again. 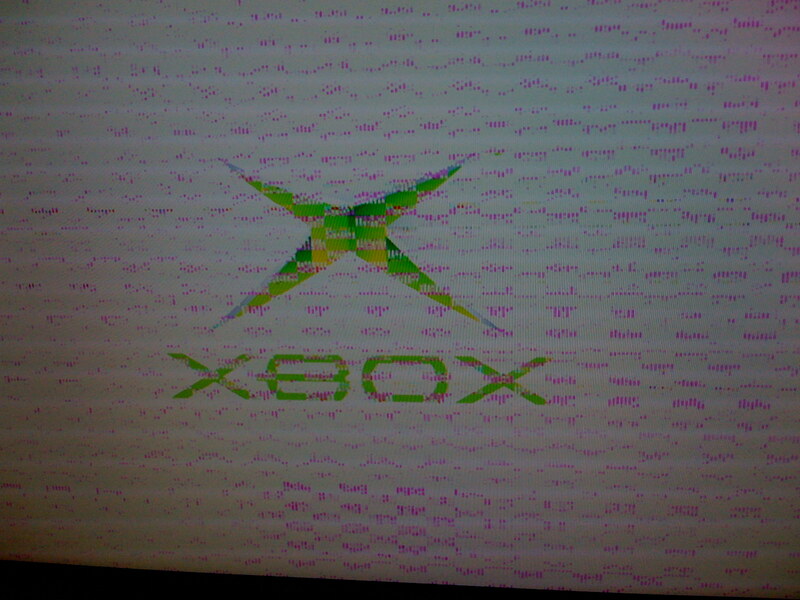 First, the damn console insisted on crashing 3 times in about 5 minutes while playing Fable off of Xbox Live Arcade. The 360 just does that sometimes. Yeah. Microsoft FAIL. Is there a Frequent RRoD Club or something? I feel like I should be accumulating RRoD miles. 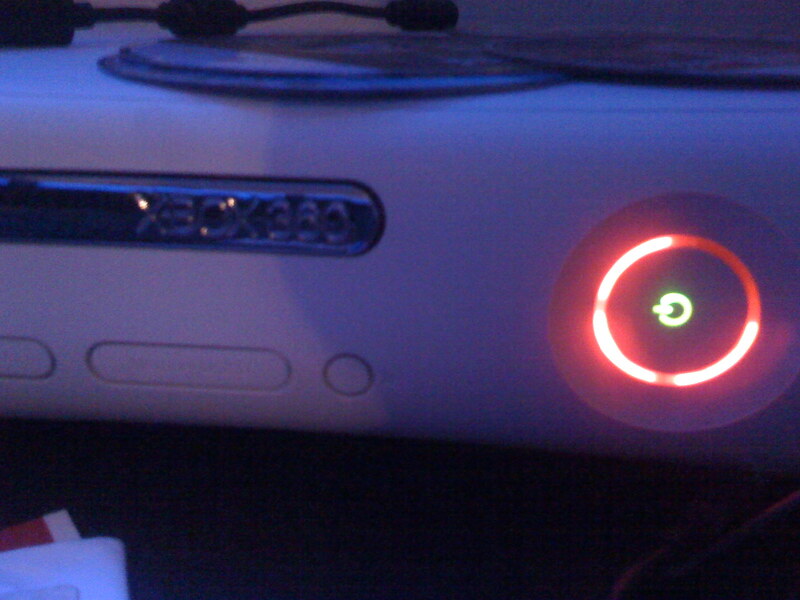 The RRoD 360 repair process has been straightforward so far. (After all, Microsoft has certainly had an ample volume of opportunities to improve it.) The online repair form was straightforward, and my empty pre-paid shipping box arrived yesterday. 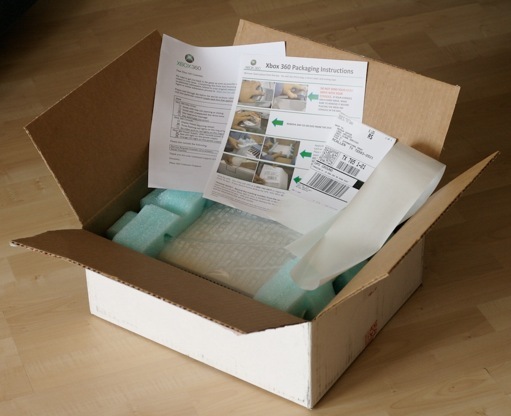 Everything needed to package the console for return was included: a plastic bag for the console, padded foam, large strip of packaging tape, shipping label, small form (in English and Spanish) and clearly written photographic instructions. Paying for door pickup would have been nice, but that’s not a big deal. I’m off to drop it off at UPS right now. 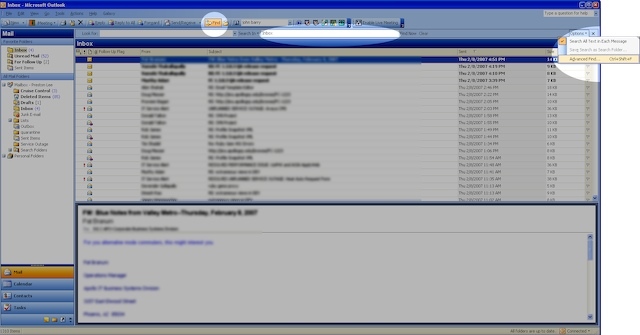 Note: Yes, this is still on an older version of Outlook because that’s what I’ve had to use. Please feel free to contribute to this series in your own blog via trackback/ping, and I’ll post links en mass to the front page when I get enough! 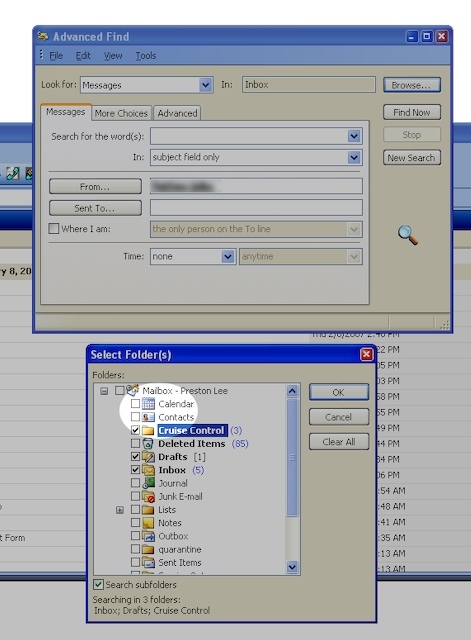 Let’s delete a folder to which messages are directed via a rule. Outlook does some dependency checking and found that deleting the folder will hork a rule. Good. Unfortunately we get a disgruntled little dialog box entitled “Rules in Error”. 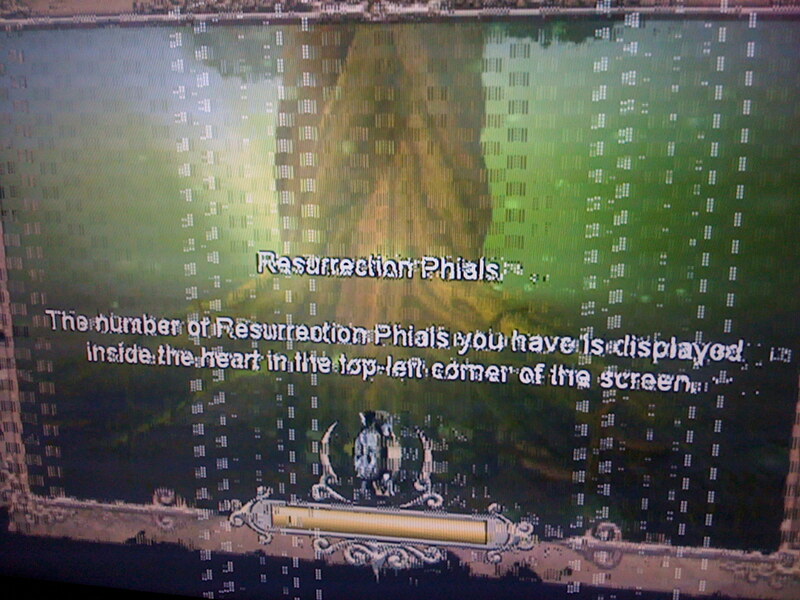 (Shouldn’t this be “Error in Rule”?) The use of a table I surmise would be to support display of a laundry list of errors, but since there’s only one in this case and the table won’t wrap the error text, we get to scroll all the way over to the right. Not that it really matters, because I don’t have a choice on how to proceed. The “Close” button gives me no indication as to what will happen when I click it. I never have this issue in Mail.app, because when I delete a folder related to a rule, the rule automatically becomes disabled and folder reference unselected. 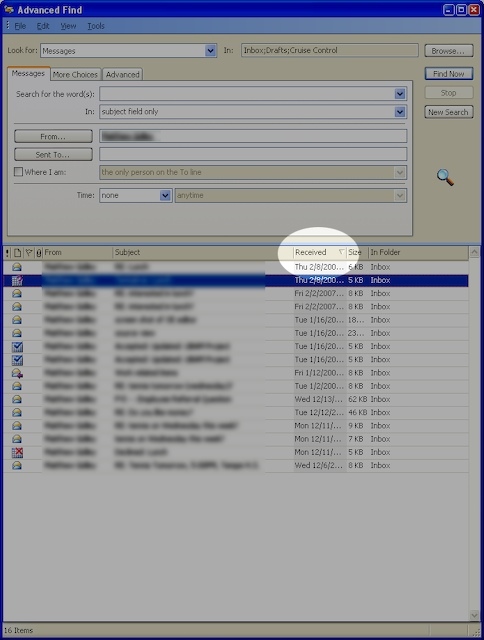 Here’s what a simple rule looks like after you delete a folder to which it directs email. No annoying dialog, and I can easily rewire the rule since it wasn’t deleted. Also, if I create a new folder with the same name, the folder automatically gets wired into the old rule. Makes sense! Let’s find an email from Toni regarding her party next weekend. There appears to be a search box in the toolbar. Wait.. that seems to be only for contacts. Nevermind. There’s a find button to the left which brings up a toolbar, but it appears to search only the Inbox. Unfortunately I have a bazillion folders and rules and have no idea where the message is located, so I’ll go over to the “Options” menu (of all places) and start an “Advanced Find”. Uh.. ok. 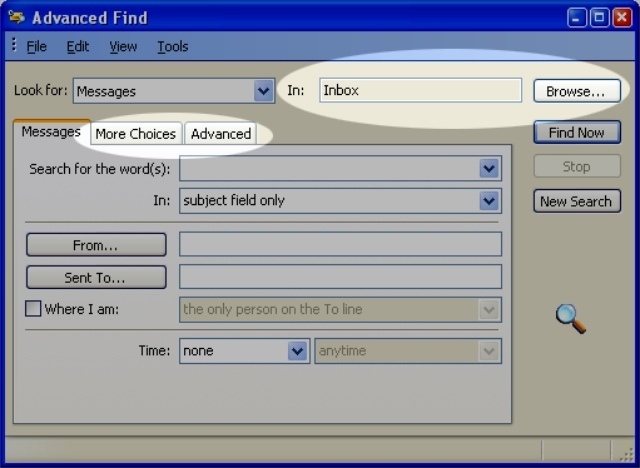 I have no idea why I need “More Choices” or “Advanced”, and apparently I’m still searching only the Inbox. 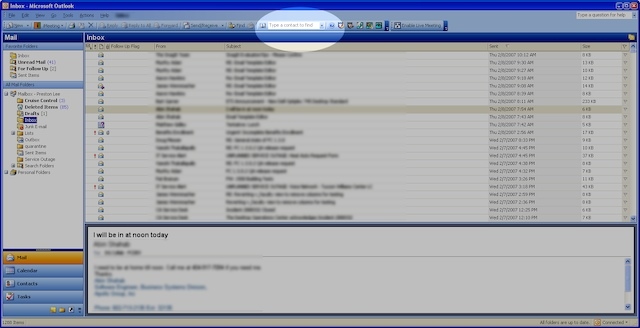 Let’s “Browse”..
Great.. the engineers decided to reuse the same old contact finder dialog. 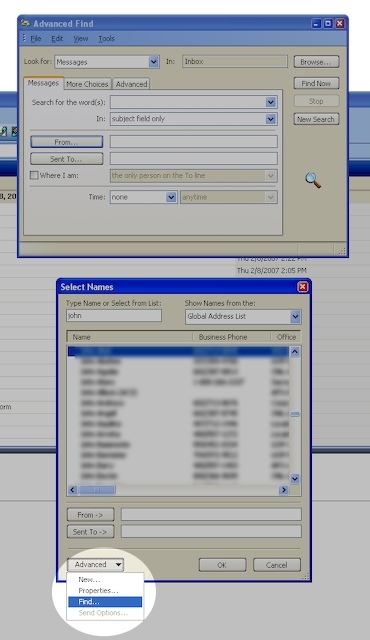 There are a lot of people with a ‘Toni’ in their name, so we’d better embark on a separate sub-find quest to identify the correct contact record. Make sure you click ‘Find Now’ and not ‘New Search’ when you’re done. When we come back from a coffee break, we see Outlook proudly presenting a result set, sorted by date, most recent first. That’d be great, except that if I’d received it recently, I probably wouldn’t need to use an ‘Advanced Find’ to locate it, would I? The results are also displayed within the dialog for some reason instead of the main window, so I guess I’ll have to keep this up on my second LCD, which I’ll now repurpose as the “Dedicated Advanced Search Dialog Monitor”. Whatever. 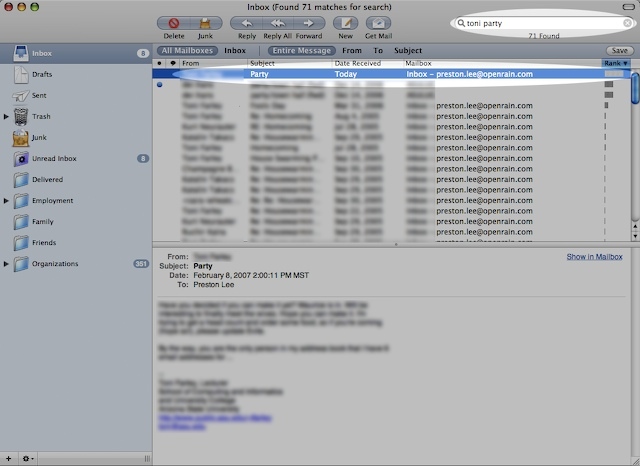 Just for shiggles, let find an email in Apple’s Mail.app. Holy freaking crap. I typed in ‘toni party’, and it gave me emails from Toni about her party, sorted by likely relevance. It was immediately clear how to search and the results took less than a second to display, despite the fact the PC is apparently faster spec-wise and I have magnitudes more email on my MacBook Pro. Huh.